Sustainable Coastlines have had a massive impact on New Zealand beaches by educating nearly 110 000 of us about caring for our coasts, as well us getting 35 000 of us to pick up over 1,000,000 million litres of rubbish. 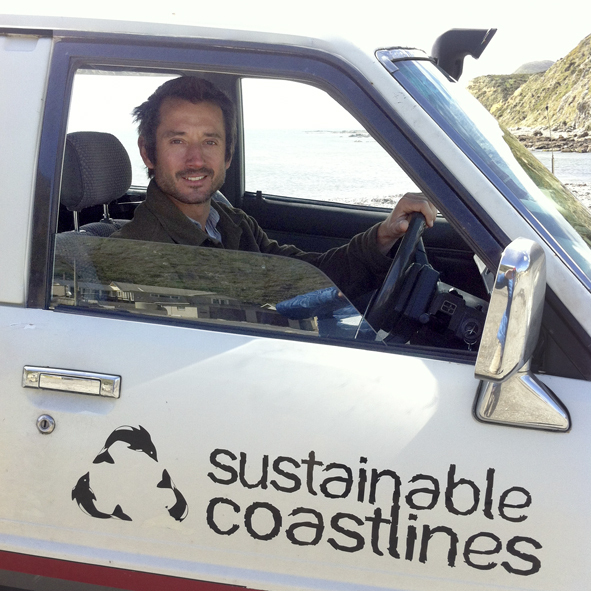 Now Welly has our own Sustainable Coastlines representative, a big welcome to Oliver Vetter, who is already very busy leading the Love your Coast campaign through schools, a harbour dive clean up this Saturday and a beach clean up at Makara next Saturday. In this interview Oliver shares his take on why we have so much rubbish on our beaches, how you can start your own beach clean up through Sustainable Coastlines and even though he has alot of dirty work to do,why he loves his job. This entry was posted in Environment and tagged Education, Environment, Sustainability, Volunteers by lauriestarfish. Bookmark the permalink.